In 2005 CRP provided strategic advice to this Neighbourhood Management Pathfinder. CRP provided Organisational Development advice to this Pathfinder in 2004, reflecting CRP’s expertise in Neighbourhood Management. 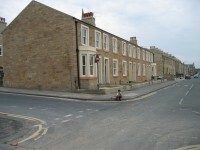 Castle Vale was one of the first areas to introduce a Neighbourhood Management initiative and was used as case study in the Guidance notes for the initial NM Pathfinders. In 2004, CRP was brought in to assist in the successful recruitment of a Neighbourhood Manager for this Pathfinder, its first contract and an early example of CRP’s expertise in recruitment.